Home » Customers » How to make a bot for your company and cash in on it? We are experiencing a real invasion of bots, especially in instant messaging (WhatsApp, Telegram and Facebook Messenger). Bots can be developed to simulate human conversations and actions in order to ease repetitive tasks. It’s a fashion that is spreading to all industries, due to its great usefulness and multiple applications. The fact is that there are many different kinds of bots. We’ll choose the kind depending on the environment and on the aim we want to achieve. But let’s go back to the basics and discuss what they are exactly before we start thinking about how to make a bot. When talking about bots we really mean robots. The origin of the name is, in fact, a simple abbreviation. They are software programmed to operate on the Internet more or less autonomously. Generally speaking, these bots have been around running on our computers for years. They usually perform automatic, repetitive and boring tasks. But at much higher capability and speed levels than those of human minds and hands. Google’s web crawlers or spiders — that are continuously checking all the websites — are small bots, for instance. And they can prove very useful if you configure them for carrying out more complex tasks. Bots are currently going quite beyond this and allow us to automate tasks that used to fall exclusively under human domain such as customer service. 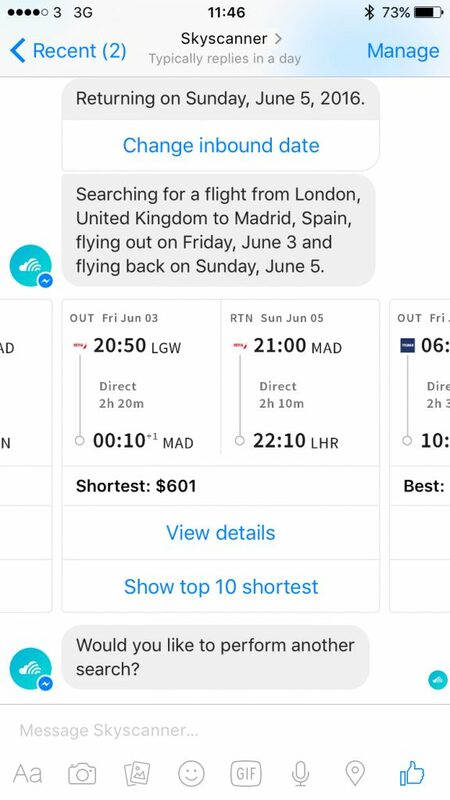 An example is Facebook’s unprecedented possibility of configuring bots through Messenger, its instant messaging service. One of the best possible uses for a website bot is to have it carry out the tasks of a real-time assistant or help users in the web environment. It can aid us in generating sales or solving problems that the users may be facing. Creating this kind of bots is not necessarily very complicated; there are companies such as Cliengo that offer these services. Besides, creating a bot with the help of an internal programmer is always an option. The latter can be very interesting if we’re after improving and optimising the operation of a bot or chatbot — but also if we want to have a continuous maintenance at our disposal in case of bot failure. The bot’s complexity will be determined by the number of conditions and operations that it’s meant to cover. Developers will have to devote much more time and work if we really want the bot to be able to solve almost any problem. Another option is to use the bot on your social networks, instead of implementing it on your website. This is especially useful for e-commerce brands. You just have to go to the brand’s Fan Page on Facebook and send a private message. The bot gets then under way to help you find your perfect holidays. The upside to this strategy is that it allows us to offer a better customer service. We’ll be able to offer an almost human service in addition to attracting more customers and potential leads. You can configure the bot yourself and implement it on your Facebook Page if you are also knowledgeable about programming. Otherwise, you will have to seek the help of an expert. In addition, taking part in the bot surge may render your company as committed to innovation. It will improve your brand’s image and will point out your company’s trendiness. This aspect can be very positive for your digital marketing strategy. Automation tools of any kind are the simplest possible example of bots. IFTTT actually consists in configuring bots that are activated to perform certain operations under certain conditions. Like saving a tweet in an Evernote list if containing the #apps hashtag, for instance. You have certainly come across a chat of this kind on some website. The operation of these bots is very similar to that of the previous example. It consists of a series of operations triggered by a certain condition. However, the bot’s configuration is much more complex in this case — up to a point where it can feign being a human being. In many cases, they are almost a mini artificial intelligence. It’s safe to say that there are as many examples as there are bots, as each bot is designed to meet certain conditions and operations. How much will creating a bot for my company cost? You may be thinking: “Yes, I’m buying into this idea. But how do I develop my own bot?” Well, you will probably not be able to create one yourself if you have no clue about programming. You will need help. In any case, do you know how much does developing an app cost? Nagesh Dhanashetti is an expert and engineer at Engazify who has been responsible for creating Engazify’s bot at Slack. He points out that when referring to a “bot’s cost” we are really including two things: the money that the bot costs and the resources assigned to its development. The cost will be very low — or even non-existent — if you have some programming skills. In this case, the cost will be measured by the amount of time you invest in programming the bot. However, you’ll have to find someone who knows how to make a bot for your brand or your website if you have no clue about programming. Furthermore, the cost of creating a bot will always depend on its complexity. If you seek a professional quotation that fits your project, you just have to visit our website and tell us a little more about the bot you have in mind.